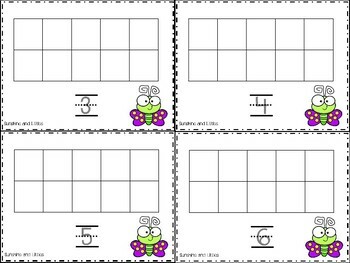 This resource includes ten frames for numbers 1-10. Flowers to fill the frames are included in the resource. Blank frames and flowers are also available. Color or black and white versions are included as well. Students can work as partners to complete the center or it can be for independent work. The center can also be used as a formative assessment after a lesson. 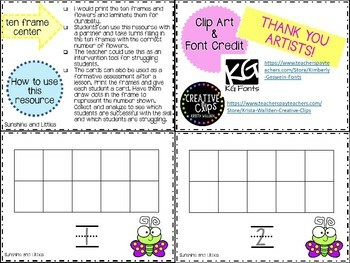 Print the frames and give each student a card. Have them draw dots in the frame to represent the number shown. Collect and analyze to see which students are successful with the skill and which students are struggling. The blank ten frames can be used as an assessment as well. Give each student a card and call out a number. Have the students fill in the frame and write the number on the card. Collect and analyze.